As far as any brand run by an F1 superstar can, Aussie Grit Apparel have seemingly come from nowhere to produce a range of well thought out riding gear. 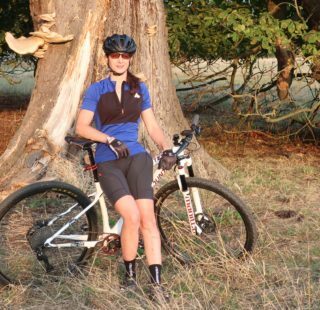 We are big fans of the Flint Shorts and Gilets, so I was keen to review one of their jerseys. 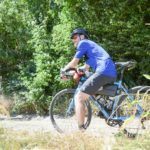 The Trail Jersey is primarily marine blue, with a black front panel. The blue panels are synthetic, while the black panel is made from merino wool. Fastening is via a ‘half zip’ – great for ventilation when you need it. You will find the normal three pockets at the rear, so pretty standard fare so far. The seams are either taped or flat-lock so you shouldn’t notice them in use. There’s a silicone gripper on the rear hem, to stop it riding up. The fit seems more relaxed than baggy. Interestingly, the cut features a slightly longer than usual tail. 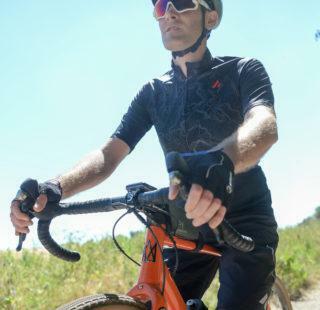 Fit of the Trail Jersey is neither baggy nor road racer tight. I’m 5′ 11, with a 37″ chest and 33″ waist which infuriatingly puts me about where most manufacturers have medium and large sizes cross over. I’m delighted then to report that an Aussie Grit Medium jersey is neither sausage-skin tight nor main-sail baggy. Aussie Grit claim the longer tail protects you from dirt. Apparently, the material deflects, rather than absorbs, mud. With the recent run of non-stop sunshine I could only comment on it’s dust shedding abilities! Once the weather breaks, I’ll be better placed to report on this feature. The jersey does a fine job of moisture management; not once during some very hot rides did it become clammy. 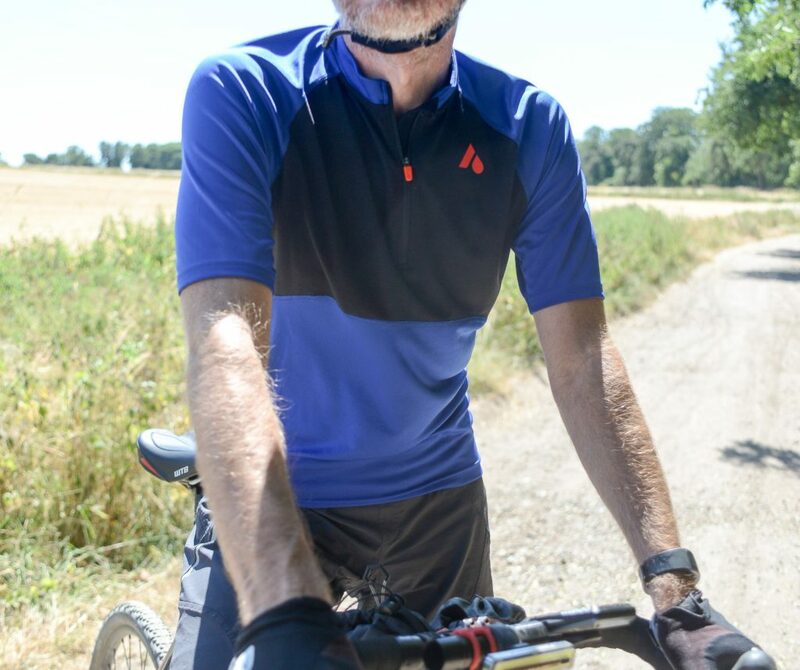 The trail jersey is so good shedding heat, during a particularly warm outing, a riding buddy was staggered I hadn’t felt the need to open the front zip! Earlier I mentioned that while the blue material of the jersey is synthetic the black chest panel is Merino. It is a slightly unusual feature, so I thought it worth a few words. 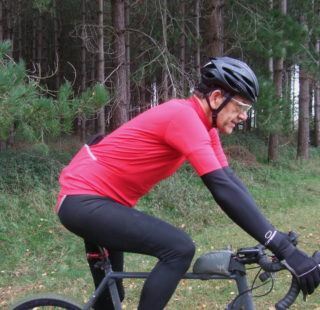 Evidently, the Merino panel is for temperature regulation and to enhance wicking and fast drying. To eliminate any marketing influence, I ignored any of the accompanying ‘blurb’ on my first ride. It was not until afterwards that I found out why the panel was there at all. Despite the fact that it seems counter intuitive, it certainly seems to work! 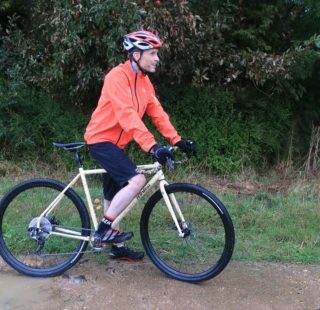 At £75 the Aussie Grit Trail Jersey compares favourably with the equally priced Rapha Core jersey. 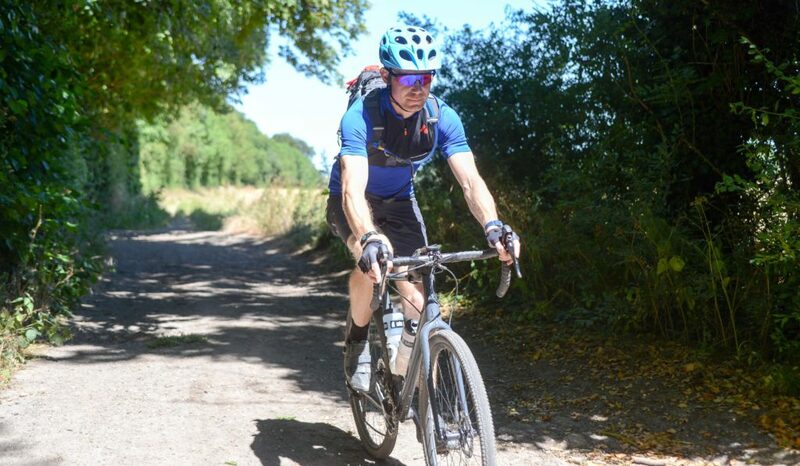 While not direct rivals (The Rapha jersey having a much tighter road cut) the Trail Jersey is more like a road than a typical MTB jersey. 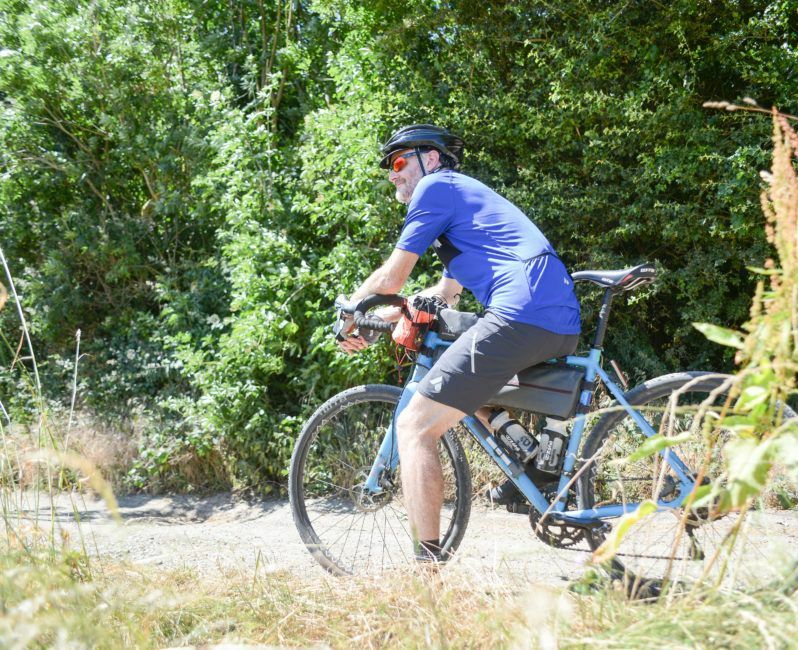 The Trail Jersey, like our favoured gravel bikes, fills the gap between road and MTB, and is perfect if you want to remain comfortable and efficient while not looking like a peloton wannabe. 10% Off Aussie Grit Apparel! You’ve read this far, so why why not treat yourself to some new Aussie Grit Apparel? Get 10% off and free shipping on us. 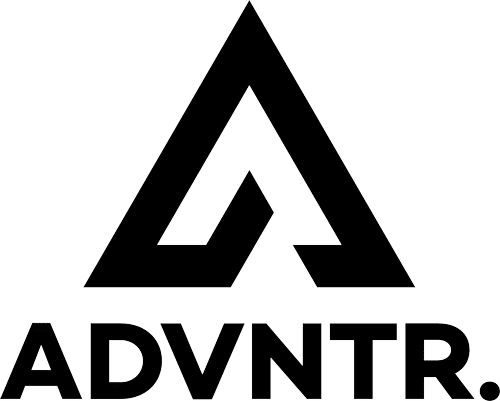 Just enter ‘advntr10‘ in the discount code section at the checkout. Not too relaxed, not too racer tight. The Trail Jersey hits a sweet spot.